Israel uses military force and sophisticated technology to maintain its oppression of Palestinians. Human rights organisations have documented that Israel violates international law and carries out war crimes during its frequent attacks on Palestinians. Israel is only able to act with such impunity because governments and companies around the world cooperate with its military and with its military companies. Palestinian civil society has called for a comprehensive and immediate military embargo on Israel. BDS campaigning is starting to have an impact on Israeli military companies such as Elbit Systems. Israel is only able to carry out brutal massacres and deliberately kill Palestinian civilians because of the willingness of governments, institutions and companies around the world to cooperate with Israel’s military and weapons companies. Over the period 2009-2018, the US is set to provide military aid to Israel worth $30bn and governments and companies across the world export weapons and security services to Israel. Israel’s military industry depends on exports to foreign markets: up to 70% of Israel’s military production is exported, mainly to the global South. Military assaults on Palestinians are used by Israeli military companies to test and market new weapons and military technology. Israeli weapons companies market their weapons as “field-tested”. Israeli military companies such as Elbit Systems are key drivers in the proliferation of both drones, and a ruthless model of securitization and militarized repression to the world. 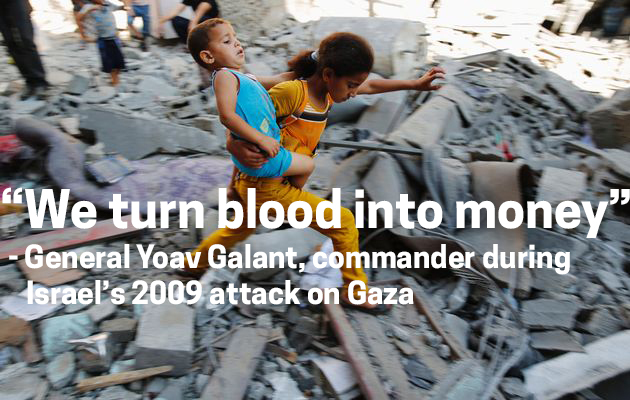 In 2014, Israel launched its third major attack on Gaza in just five years. 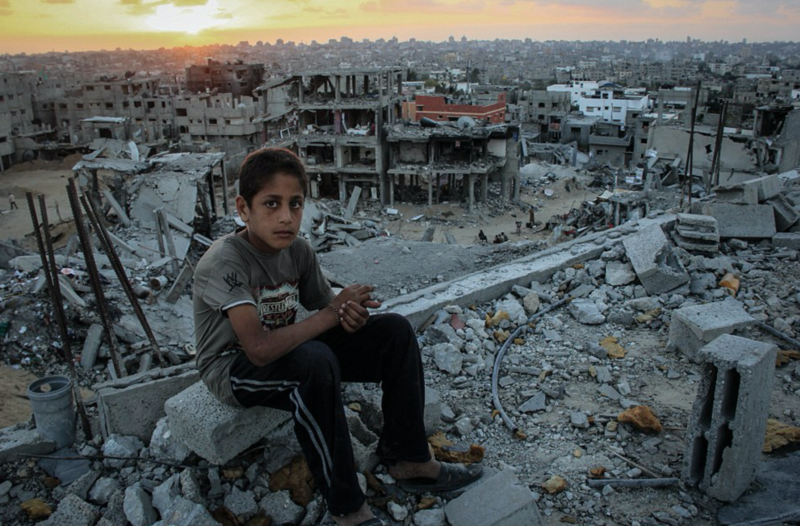 More than 2,200 Palestinians were killed, including more than 500 children. Entire families were annihilated in their homes. This loss of civilian life was entirely deliberate. The Israeli military has adopted the Dahiya Doctrine, named after a Beirut neighbourhood devastated during the 2006 war, which calls for the deliberate targeting of civilians and civilian infrastructure as a way to deter all forms of resistance to its oppression. The UN and human rights organizations have repeatedly documented how Israel has carried out war crimes. Israel has recently adopted new “rules of engagement” that allow its occupation forces to “shoot to kill” Palestinian protesters, including children and youth. 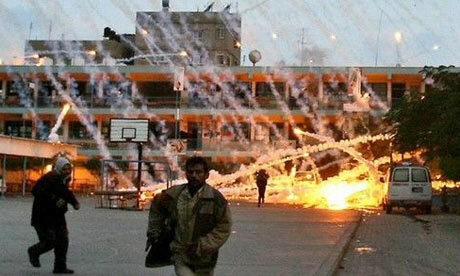 Israel has been documented as using banned weapons including cluster munitions and white phosphorus (pictured). The functioning of this system depends on the willingness of governments and companies around the world to cooperate with Israel’s military, weapons industry and military research institutions. Military aid and exports to Israel are used to further its oppression of Palestinians and enable it to carry out its war crimes. Over the period 2009-2018, the US is set to provide military aid to Israel worth $30bn, which is then used to purchase weapons and equipment from US companies. 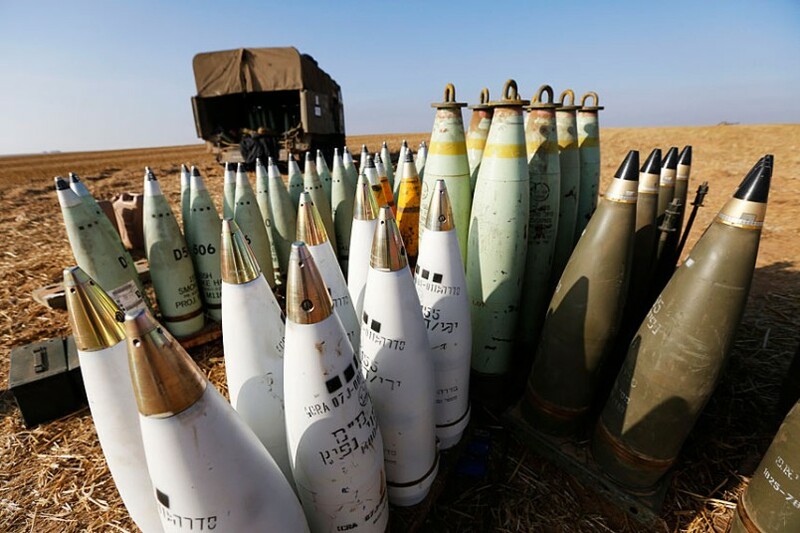 Since 2000, the US has licensed the export of nearly $825m of weapons to Israel, valued at nearly $10.5 billion. Between 2012-13, EU countries granted licenses for military exports to Israel totalling €983m ($1.1bn). International companies such as G4S and HP act as private contractors, taking on key supporting roles in helping Israel to maintain its infrastructure of militarism and racial oppression. South African company Cape Gate provides fencing used in Israel’s illegal wall and settlements. Military exports from Israel totaled $7.5bn in 2012 and Israel was the world’s 8th largest arms exporter in 2014, especially remarkable given its relative size. Purchases of Israeli weapons and military technology help fund the Israeli military-industrial complex and provide an important revenue stream for the Israeli state, helping to pay for its oppression of Palestinians. Israeli military companies market their products as “field tested”, by which they mean that they are tested on the bodies of Palestinians. Israeli arms companies have publicly boasted about the effectiveness of the new technologies trialled for the first time during the 2014 Gaza massacre. The share price of Elbit Systems - Israel’s largest military company - rose sharply during Israel’s 2014 attack on Gaza. This use of Israeli assaults and military operations to test and market military exports creates a powerful financial incentive for continued oppression and violence. Israel invented military drones and regularly uses them in its attacks on Palestinians in Gaza - including in deliberate attacks on civilians. According to the Al Mezan Center, a Gaza-based human rights organization, more than 1,000 Palestinians in Gaza were killed by armed drones in the period 2000-10. Israel is also increasingly using drones for surveillance in the West Bank, including East Jerusalem. Israeli military companies such as Elbit Systems use occupied Palestinian territory as a lab on which to test its drone technology and then markets drones across the world. 61% percent of the world’s drones built since 1985 have been supplied by Israeli companies. The Israeli regime is a key driving force behind the proliferation of drones and the sense of impunity they encourage. Israel is not just oppressing Palestinians - it is exporting its ruthless model of securitization and militarized repression to the world. 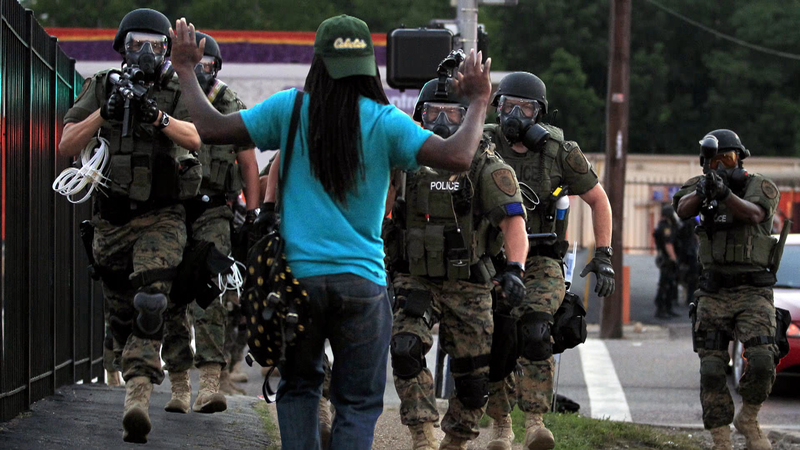 Israeli police and security companies have trained the police force in Ferguson (pictured) that killed Michael Brown, Rio’s infamous BOPE special police forces that carry out extrajudicial executions, and numerous other police forces across the world, including in Los Angeles and London. Israeli security and military companies sell military expertise to dictatorships in Asia and Africa, often to both sides of a civil war. 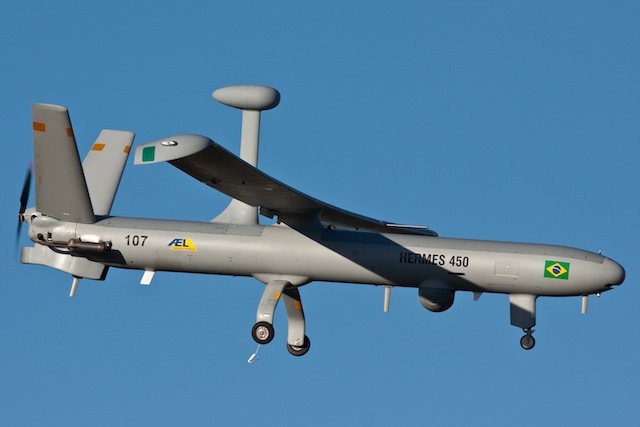 The EU’s border management agency has been holding discussions with Israel Aerospace Industries and Elbit Systems about using Israeli drones to further securitize European borders. Israel’s largest military company, Elbit Systems provides a clear example of how Israeli military companies play a pivotal role in Israel’s violent oppression of Palestinians. Elbit Systems supplies and maintains surveillance systems for Israel’s illegal wall and settlements and helicopters to the Israeli police. Elbit drones have been extensively used and “field tested” during each of Israel’s three recent assaults on Gaza. The company also produces white phosphorous, a banned weapon under international law. Israel has been criticised for its use of white phosphorus during attacks on Palestinians. Elbit also provides a clear example of how Israeli military companies profit from Israel’s war crimes against Palestinians. After Israel’s 2014 massacre on Gaza, Elbit’s share price rose sharply. For more information about Elbit Systems, see the fact sheet from Stop the Wall. See more information about Israel’s other military companies in our military embargo fact sheet. In 2011, the Palestinian BDS National Committee issued a call for a comprehensive military embargo on Israel. The call urged: an end to military aid and weapons exports to Israel, ending the transfer of weapons and military technology to and from Israel, and ending all forms of military aid and research cooperation. The call for a military embargo is now supported by political parties, NGOs, trade unions and campaign groups across the world. Palestinian BDS National Committee member organisation Stop the Wall is leading an effective international campaign against Elbit Systems, Israel’s largest military company. >More than a dozen banks have announced that they have divested from Elbit Systems over its role in Israel’s military violence, and the company has been blacklisted by many investment advice companies. 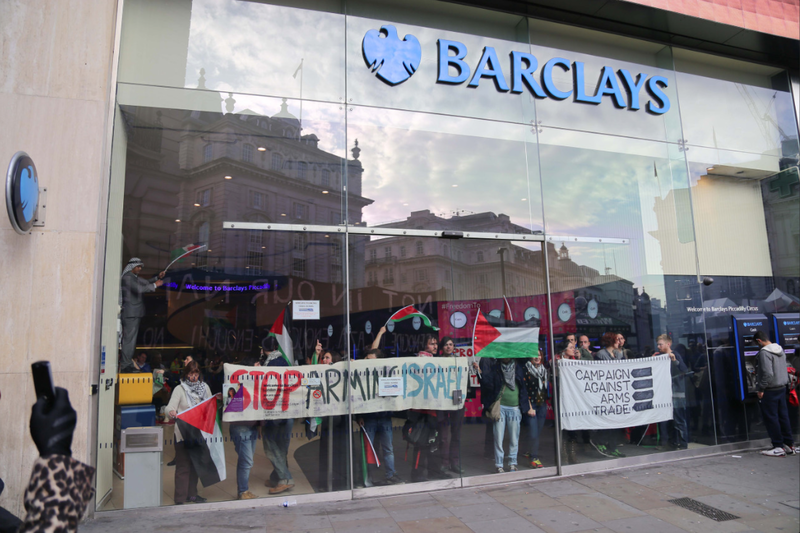 UK bank Barclays divested after more than 1.7 million people signed a petition organised by Avaaz and campaigners have occupied and protested at bank branches across the UK. Elbit’s participation in a Brazilian drone development effort was terminated at the beginning of 2016. This followed a 2014 decision by the Rio Grande do Sul regional government to end a large-scale research collaboration project with Elbit Systems. 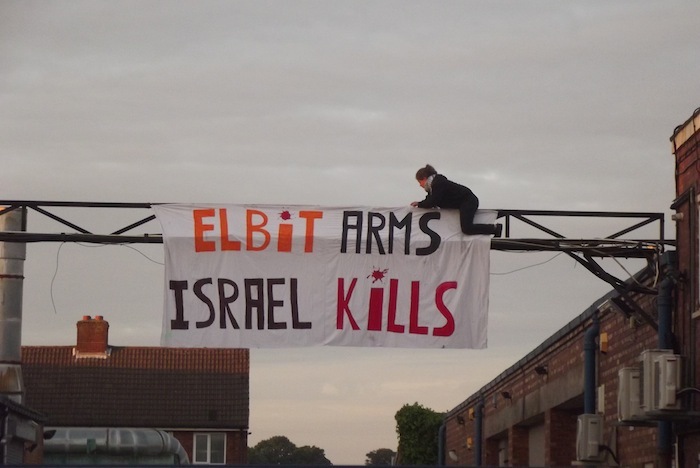 Elbit factories across the world have been repeatedly blockaded by campaigners. Elbit has lost out on deals in Denmark and France following public campaigns. The Norwegian government has an official policy of not exporting weapons to Israel. In 2010, Norway even refused to allow the testing of a submarine that a German company was manufacturing for Israel in its waters. However, Norwegian campaigners point out that a US-based subsidiary of a Norwegian arms company does export weapons to Israel. Israel’s military machine depends on cooperation and trade with governments, companies and institutions across the world. 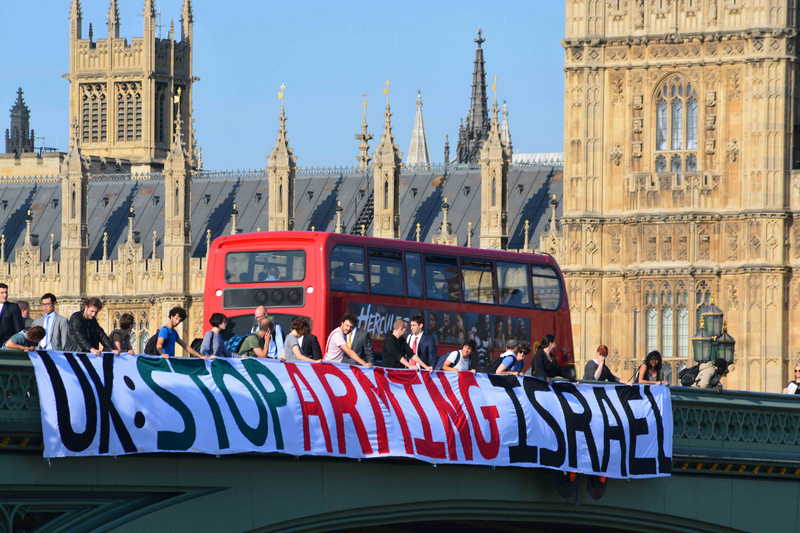 Grassroots campaigning for a military embargo is a key way of tackling Israeli impunity. Campaign for local governments to commit to not collaborate with or invest in Israeli military companies or international companies such as G4S or HP and to pressure central government.